We've been watching this one for a while, so the new video seems like as good a reason as any to mention it again. Rain World is a gorgeous stealth platformer set in a bleak, industrial world and stars a 'lonely nomadic slugcat'. Indeed. It was funded on Kickstarter last year to the tune of $63,000—well over the desired amount—and looking at this beautiful, atmospheric trailer, it's not difficult to see why. The animation in particular is really impressive. I love that evil bird... thing at the end. "Inspired by the aesthetics and simplicity of 16-bit classics, the gameplay consists of platforming and fast paced sneaking; both sneaking on your prey and sneaking in order to avoid larger creatures," explains creator Joar Jakobsson. "A large focus of the development has been on enemy AI: they are cunning, vicious and they are always hunting you." 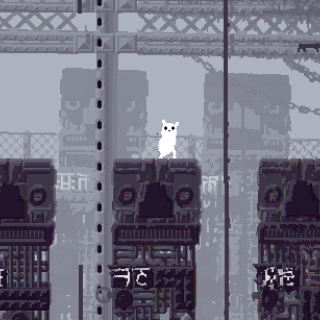 There's no release date for Rain World yet, other than 'coming soon', so you won't be able to get your hands on this slippery slugcat just yet. But we'll keep you posted.